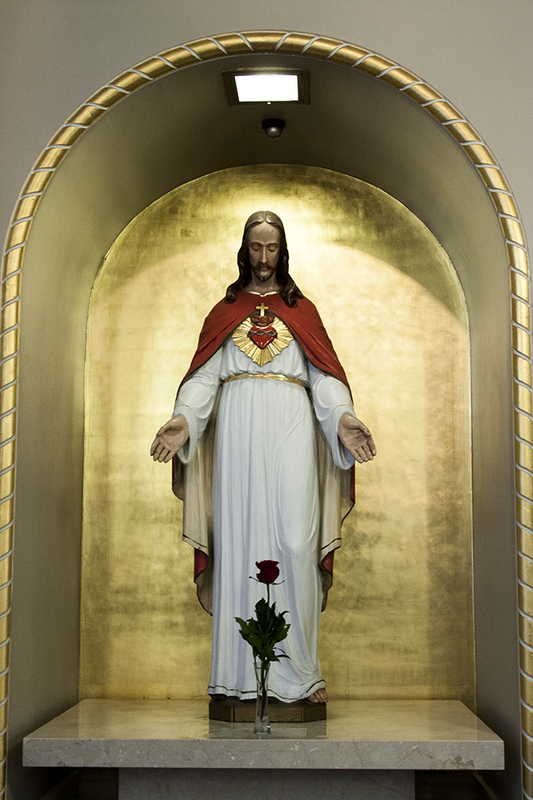 First Fridays is a devotional practice honoring the Sacred Heart of Jesus in which members of the Church observe the first Friday of each month by receiving Holy Communion. According to promises which it is claimed Jesus made to St. Margaret Mary Alacoque, those who follow this practice for nine consecutive months will be granted special graces such as final perseverance in faith and the consolation of Christ's love in their final hour. On the first Friday of each month, the 7:30 a.m. Mass is immediately followed by Exposition of the Blessed Sacrament. Adoration of the Blessed Sacrament continues throughout the day and ends with Evening Prayer and Benediction at 4:45 p.m. All are welcome to spend time with our Lord during the day. Sign-ups for "watches" are posted in the church.